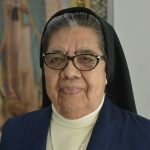 “The people were hungry to hear about God, and that would motivate me for the missionary work,” says Sister Gloria Rodríguez, a member of the Missionaries Guadalupanas of the Holy Spirit in Los Angeles, California. 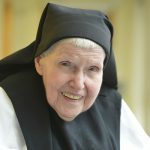 “At 3 a.m., you know that you’re praying for the world,” says Sister Perpetua Wawryk, a member of the Cistercians of the Strict Observance (known as Trappistines) of Mount Saint Mary’s Abbey in Wrentham, Massachusetts. 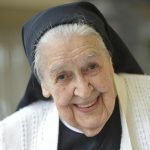 For more than 60 years of religious life, Sister Perpetua has been rising when most Americans are sleeping. 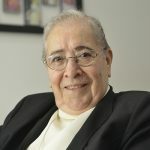 Sister Emilia Irene Lara, 85, a member of the Missionaries Guadalupanas of the Holy Spirit, grew up in the wake of the Mexican Revolution. Although she often witnessed poverty and illness, her early years were happy and filled with faith and love.